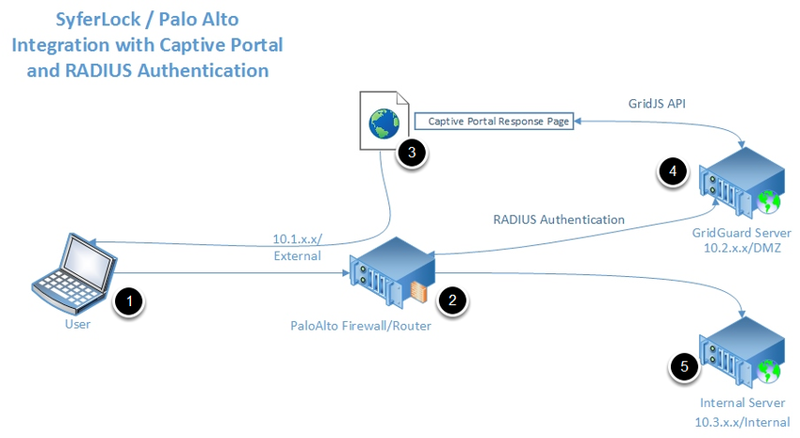 This overview defines the general architecture for integrating the SyferLock GridGuard Server (virtual appliance) with the PaloAlto Firewall running PAN-OS 7.0+. 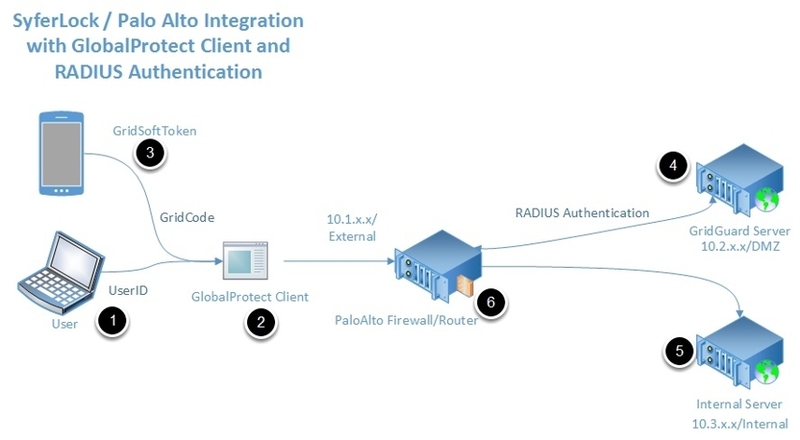 The primary goal of this integration is to provide an enhanced level of security by adding strong authentication when using the PaloAlto Firewall to access protected internal resources. Using either the Captive Portal or Global Protect Client, PaloAlto users will be able to use SyferLock's GridGuard technology to protect these resources with enhanced authentication methods. The user (1) launches the GlobalProtect client (2) and enters their UserID and GridCode (3), which is determined from the GridSoftToken installed on a mobile device such as a smart phone. This is synchronized with the GridGuard server (4) at time of installation.